I had the pleasure of sharing the stage with Ian Reid at a ‘Stories on Stage’ event at Koorliny Arts Centre in Kwinana last year—a presentation in which we discussed our shared interest in research and the use of history in the fiction we write. We have no doubt haunted the same desks and microfilm readers and reading rooms at many libraries and archives. We also share a publisher, UWA Publishing, so there are multiple intersections between our writing and publishing lives. Ian’s publication record, however, is far more extensive than mine. He is the author of a dozen books across several genres—fiction, non-fiction and poetry. His work has been widely anthologised, awarded prizes, and translated into several languages. 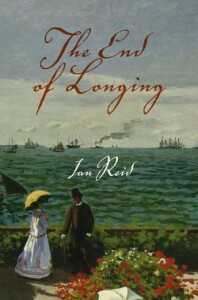 His previous historical novels are The End of Longing and That Untravelled World. 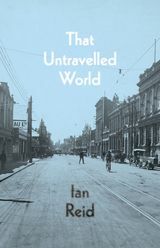 Ian lives in Perth, where he is an adjunct professor at The University of Western Australia and an emeritus professor at Curtin University. 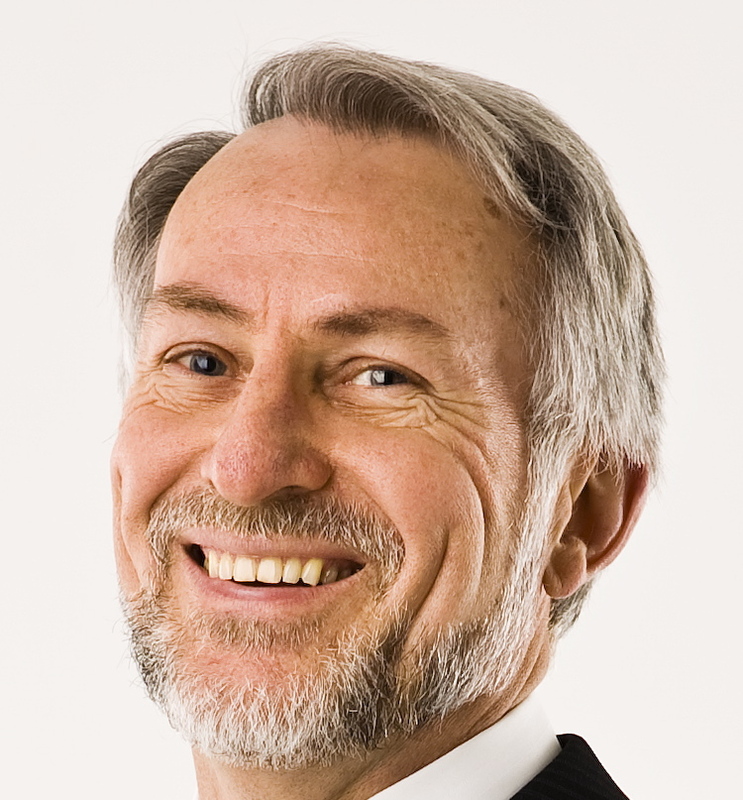 He was recently awarded the State Library of Western Australia’s 2015 Battye Memorial Fellowship. I am looking forward to reading his new novel, The Mind’s Own Place, which is about to be published. Two women and three men, displaced in different ways by the rapid transformation of Victorian England, travel separately to a small settlement on Australia’s western rim. With them they carry social ambitions and psychological wounds. As their lives intersect in the Swan River Colony, what they encounter is not quite what they expect. Who will struggle, who will thrive, and how will each react when secrets emerge? 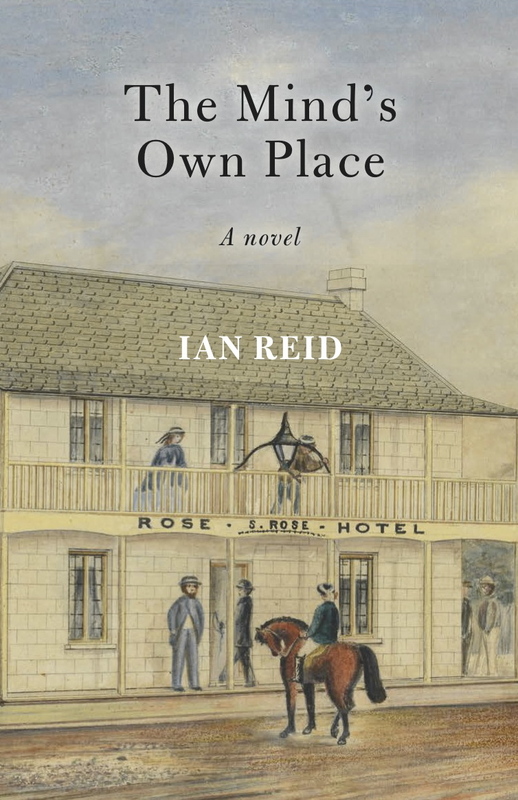 Though fictional, The Mind’s Own Place is partly based on the actual experiences of historical figures: a pair of convicts from respectable backgrounds, talented and enterprising but troubled; two female immigrants, free settlers, not equally fortunate or resilient; and the first detective in Western Australia, who eventually uncovers more than he intends. Like Ian Reid’s previous acclaimed novels, this powerful story explores intricate relationships between the shaping of character and the pressure of adversity. It reveals damaged families, mixed motives, and the long shadows thrown by the past. My imagination was stirred by the fact that the Swan River Colony, even after shiploads of convicts began to arrive, remained for several decades a very small community in which people were often closely connected, at times more closely than they knew. There were, I discovered, only a couple of degrees of separation between noteworthy historical figures who came to Perth and Fremantle at that time, and I began to invent a story around that factual core. It also struck me that what we now call the Industrial Revolution was by no means confined to cities. The profound economic, political and social transformation of Victorian England caused turbulent effects in small towns and villages across its countryside, dislocating the lives of families and individuals. By choice or not, some of these people consequently found their way to the western shore of Australia, flotsam and jetsam of that upheaval on the other side of the world. As intimated in its title, much of this novel turns on the importance of location, location, location. Of the several places that figure prominently in the story, two come particularly to mind here. 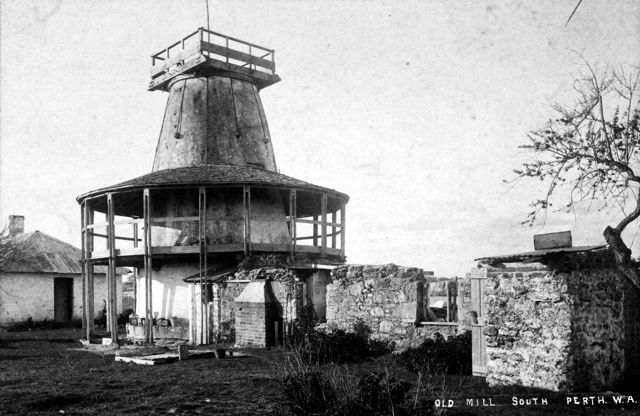 The Old Mill in South Perth: many know this 1835 building to be one of the earliest that survives from colonial days in Western Australia, but not many know how or why its structure was boldly altered in 1880 by a fascinating emancipist known as Satan Browne. The highs and lows of Browne’s career in England and Australia, culminating in his project of turning the abandoned mill into something visionary, provided me with the basis for one of the main narrative strands in my novel. Newton-in-Makerfield (now known as Newton-le-Willows): this little Merseyside market town suddenly became an important centre of railway engineering because it was at the mid-point of the Liverpool–Manchester line, which opened in 1830 as the world’s first steam-powered public transport system. 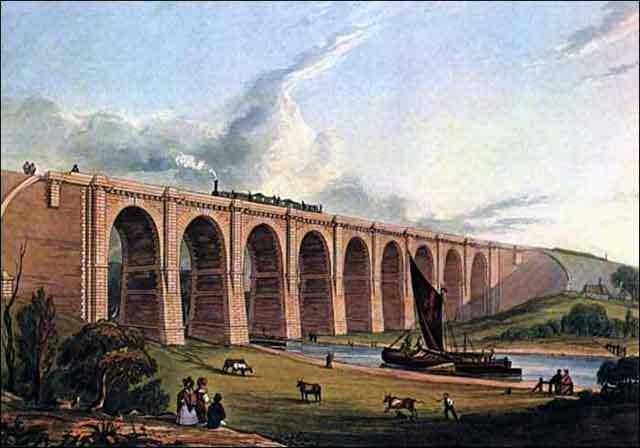 The once-quiet town’s new industrial activities included the Vulcan Foundry, in which famous locomotive inventor Robert Stephenson was a partner, while the magnificent Sankey Viaduct, designed by Stephenson’s father, straddled a canal just outside the town. Newton is the setting for a few of my novel’s early chapters. In a Lancashire town, a young boy becomes wedged under the rails of a railway bridge embankment as the train comes closer. In an Essex village, an adolescent girl who is sent to fetch a rabbit carcass from a neighbour’s barn becomes enticed by the farm boy into quaffing cider. I can only say I am intrigued by this forthcoming work. Will there be a launch, somewhere, sometime?